March 22, 2019, Kamloops, British Columbia – In case you missed it, Thursday, March 21st, marked the Luv’n Loops kick off tour. Backdropped with bluebird skies, spring-like temperatures and 25 eager Kamloopsians, groovy tour host Jennifer Friend led a spirited, fun-loving adventure to four downtown locations inspiring locals to uncover tourism hotspots. 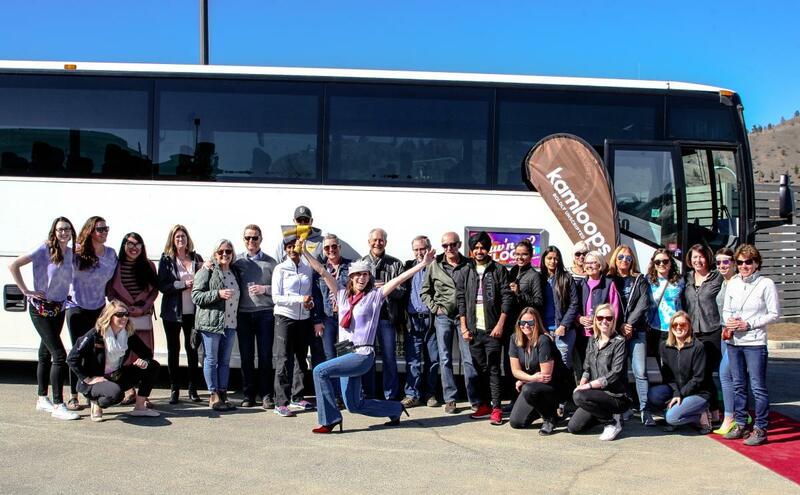 This month’s tour group was the perfect mix of Kamloopsians – Daybreak Rotarians, TRU students, local media and Tourism Kamloops’ fun captains. This tour was unlike any other. While the group visited Red Collar Brewing Co., Forno on 5th, toured Back Alley Murals with KCBIA’s CAP Team and sampled sweet treats at Cocoa Dot Cakes, social media posts also revealed street corner signing, dancing with strangers, patio leapfrog and impromptu renditions of the YMCA in front of a mural. The vibe was fun, funky and truly Boldly, Unscripted! Tour details were a surprise until the group boarded the bus headed for the first stop, but the smiles, laughter, and comradery throughout the tour signaled a great afternoon of exploring. If you are feeling like you missed out, not to worry! The Luv’n the Loops tour will continue each month for the next year. Custom itineraries will tour residents to all corners of Kamloops and will welcome all ages and abilities. Tell us why you should be on our bus! Visit www.tourismkamloops.com/valueoftourism to send us your pitch. 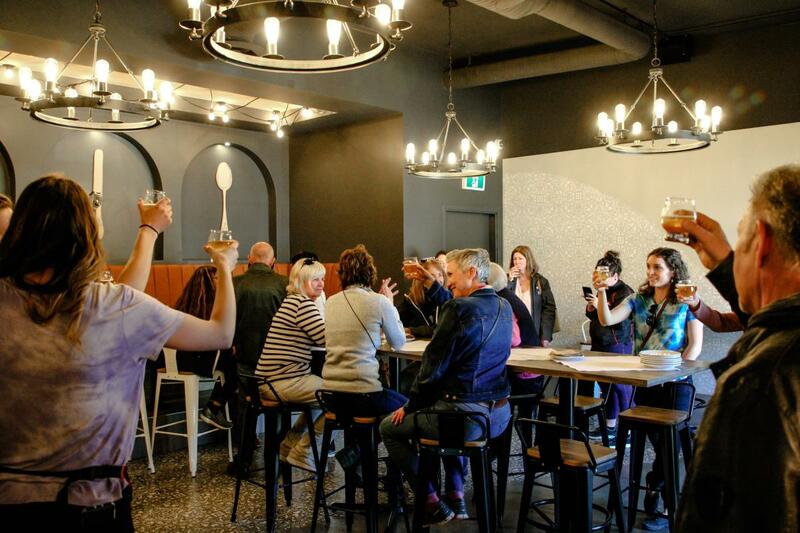 Get in on the action and follow the tours on Tourism Kamloops’ social channels and by searching #explorekamloops and #togetherintourism.